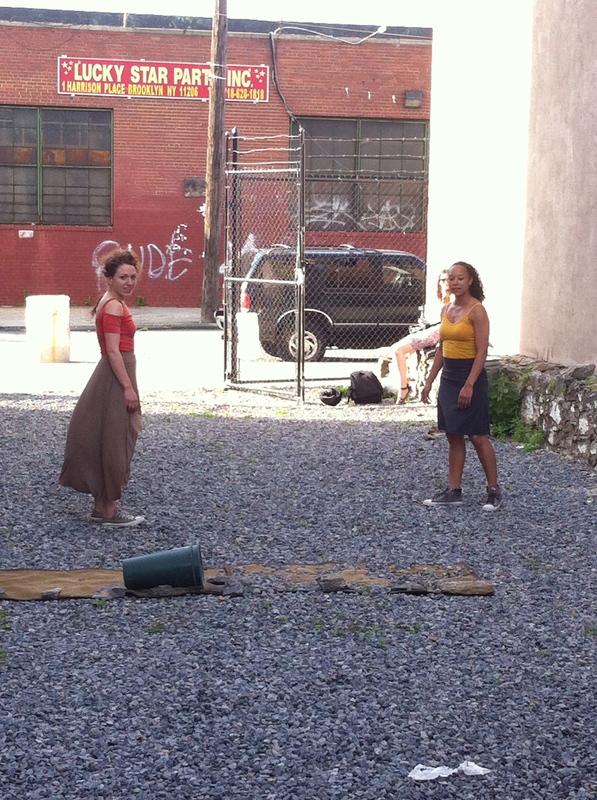 What a beautifully-exhaustingly-glorious weekend participating in Chez Bushwick's 24 Hour Project was. My dance partner Dominique Robinson, choreographer Kyle Marshall and I explored themes of territory and change and gentrification and Puerto Rican/ Irish ritual and tradition in a gravel lot on Harrison Pl in Bushwick in our piece, Isle of Rocks. We had two days of 12 hour rehearsals to conceptualize, choreograph, rehearse and perform. This format was challenging but also liberating- the time and space constraints pressure-cooked our ideas into something we probably wouldn't have discovered if we were moving at a more leisurely pace. Many thanks to the fine folk at Chez Bushwick for organizing this project and to the inspiring dancers and choreographers in the other three groups.